Your Spanish Fort Realtor – A small introduction of myself and what I have to offer you. 11 Steps to Buying a Home – Here you’ll find a detailed breakdown of what’s involved in buying a home from our sister site. Mortgage Calculators – Many helpful calculators here covering all bases. Preferred Vendors – A list of contractors and businesses who I and many other real estate professionals use in our practice. Home Buying Guide for Spanish Fort – Another take on the process of buying a home. Selling Your Home in Spanish Fort – Learn about the keys to selling a home: pricing, preparation, and marketing. 9 Steps to Selling a Home – On the other side of the coin, here’s a comprehensive guide to selling. There’s a lot of detail in these two guides. 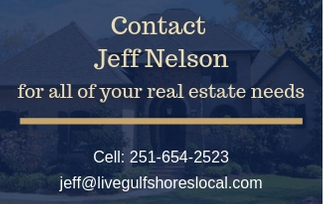 Homes Sold and Home Values – Find recent sales in popular Spanish Fort neighborhoods and an easy way to get your home value. Pre-Listing Information Package – A 33 page package that I’ve created to help you sell your home.